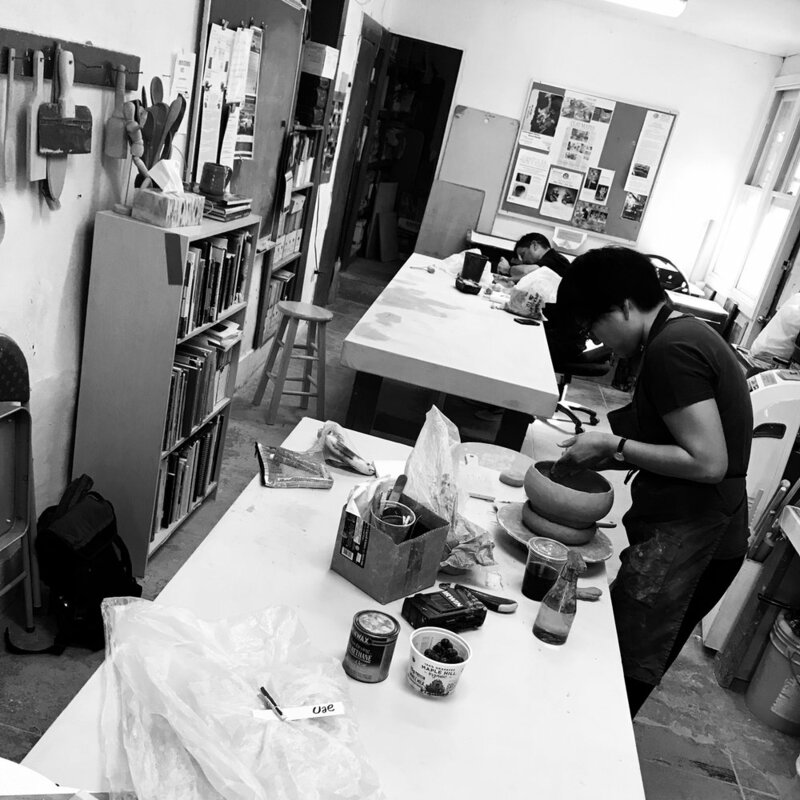 The goal of this class is to help each participant develop his or her own voice through the creation of an independent hand building project, either a vessel or sculpture. YeRin will share various techniques and technical know how. Students and instructor will share project ideas, and provide each other with feedback. An hour of free discussion time with the instructor is offered prior to every class meeting with an aim to assist participants in refining their ideas. The objectives of the class are: to produce a finished project, start a portfolio and develop a language of contemporary ceramic art. Bring a sketchbook and your preferred cone 10 clay to the first session.